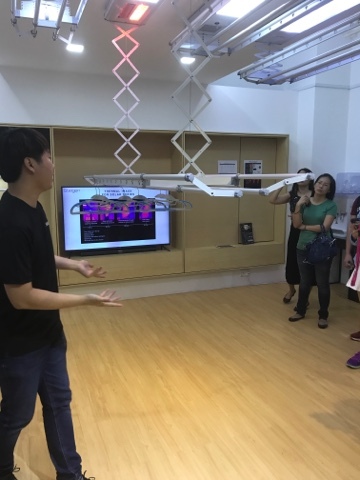 Thanks to Samplestore, we were invited for the demo for Steigen and learn more about their innovation creating of Automatic Laundry System-Exalt Solar. 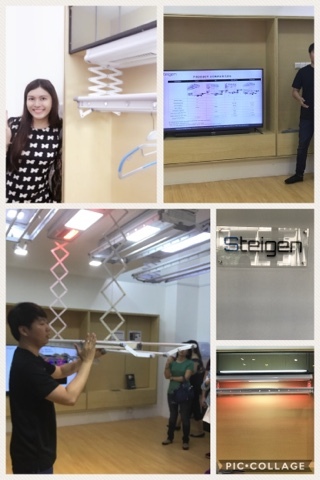 Steigen is founded by a team of homeowners who were searching for the best innovative solutions for their homes. 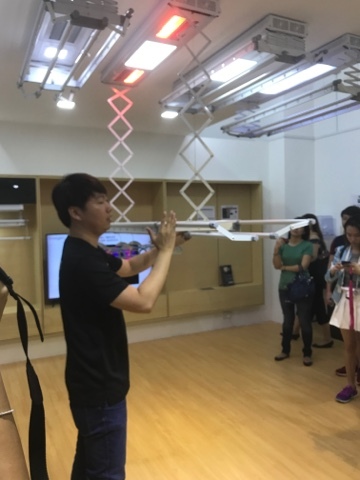 We are passionate to share the best products available and help integrate the latest technologies into Singapore's modern homes. Exalt Solar Laundry system comes with in-built thermal dryer to speed up drying time and save you money! Secondly it is a problem for the weight. My mum also complaining about hanging clothes or bed sheet especially comforter is too heavy for them. Even if you hang outside the HDB, you need much strength to balance and carry them in. So what you actually need is an automatic laundry system to be installed in your house. It is compact and able take a load of up to 35kg (around 60 pieces of clothing), laundry is an effortless breeze with user-friendly remote controls and two built-in air circulators that dry garments 4 times as fast. system is built to last. It all passes 100,000 cycles test (which means, 13 years of everyday of washing) WOW! Now you probably worry about the electricity bill? The entire unit, even with Solar functions, can be powered simply with a lighting point. As compared to electric dryers, it used dramatically lower electricity. 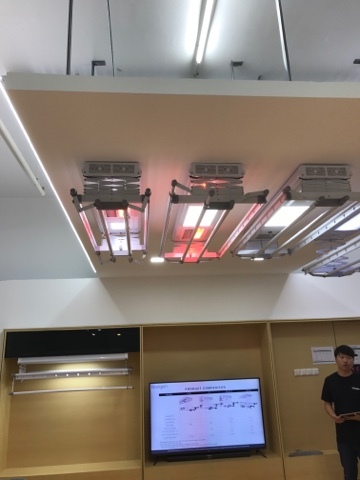 It also consists of energy saving function to shut off the Solar tubes and fans automatically after 2 hours. The LED lamp can double up as the service yard lighting. I feel the most important factor is it saves you from lots of avoidable hassles and wear odourless and clean clothes everyday. Its $999 only per set ! Comes with installation Free delivery and installation & 2 years warranty. Apart from bringing you the convenience you need, Solar series have three key features that consumers are excited about. to 35 degree celsius, equivalent to the temperature of the sun during noon hours. contains no ultra-violet that may cause your clothes to fade. Exalt+ Flexi: A basic model that fulfils the primary needs of automated lifting and lowering. Ideal for laundry yard with sufficient sunlight and wind. Exalt+ UV: Helps to disinfect clothing with ultraviolet lamps. Comes with single directional fans to speed up drying. Exalt+ Solar: Built-in heating technology to drive heat throughout laundry to allow clothes dryevenly. Operates with only 0.9 kWh of energy, making it more energy efficient and reducing the average drying time to 1 to 2 hours. Eliminates 99.9% of bacteria and prevents musty odour. See how compact it is? You can hang your clothes even you are short or tall! All you need is a remote. You may contact via SMS/Call/Whatsapp to 8818 6588 or email to sales@steigen.com.sg if you have any questions. It is easy to maintain and suitable for all family! Not sure about the measurement? Item is available islandwide. Click here for retailers for more information.